Floral arrangement. 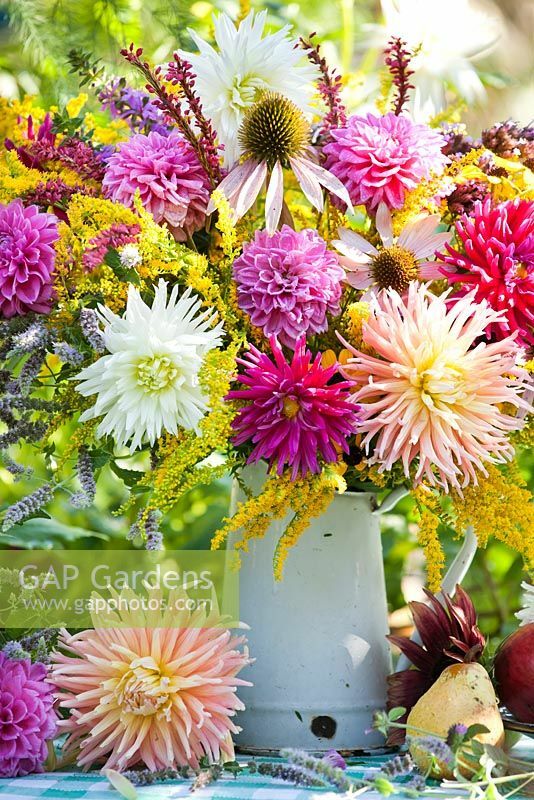 Jug of Dahlia, Solidago, Rudbeckia triloba, Echinacea purpurea, Verbena bonariensis, Persicaria amplexicaulis, Mentha spicata. Image 0538813 has been added to your cart.